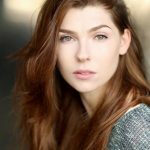 Writer Milly Thomas showcases a multitude of themes from love, gender and domestic abuse in her latest show Brutal Cessation. Brutal Cessation will take residence at Assembly George Square at this year’s Edinburgh Fringe Festival. Ahead of the month long run, Milly talks to Theatrefullstop about the show. Hi Milly, your play Brutal Cessation will be performed at this year’s Edinburgh Festival (Assembly George Square). How are you feeling ahead of the festival? I’m so excited to get cracking! There’s a lot of hard work to be done first, but that’s half the fun. Brutal Cessation is an exploration of a relationship, in particular, looking at violence, gender and the absence of love. What inspired you to create a piece exploring these themes? Last year while in a relationship with someone perfectly lovely that wasn’t going anywhere, I remember having the idea and writing a scene out of sheer frustration at my own inability to say what I wanted. Then I forgot all about it. Months later, relationship over, I rediscovered it and thought long and hard about why I felt the need to write it in the first place… how the things we crave in relationships can often be the things that end up destroying it and the tipping point between boredom and violence. The production will feature two performers switching roles throughout the show. What inspired this choice of delivering the narrative? I’d been keen to look at gender for a while as a playwright. It’s probably present in everything I write but I really wanted to see if I could strip it back until it almost didn’t exist. By having them switch roles during the show I want to explore whether dialogue is inherently gendered and to really examine our biases and our expectations of male and female characters. You’re production highlights the tough subject of domestic abuse-with 1 out of 4 women and 1 out of 6 men suffering in their relationships. What would you like for audiences to take away from the show? Hopefully that we all have the power to be as good and as bad as each other. It’s public perception and inequality that teaches us otherwise. Although you do not consider this an autobiographical piece, are there any aspects of your life that have inspired or have even been featured in the piece? As well as that relationship and many relationships of close friends, I was heavily influenced by an experience I had when taking a sexual assault case to trial in 2015. Once you press charges you are referred to as ‘the victim’ throughout the entire process. I was shocked by how easily I internalised it and accepted it as part of my identity. I wondered: if I’d been a man, would I have felt the same? One aim of the piece is to really explore if victimhood is gendered. When a relationship fails there are often sides to take. Is there a victim and a perpetrator? Who’s to blame? You’re currently working with Bethany Pitts, who is directing the piece. How have you two collaborated to fully realise the piece? Beth’s been absolutely crucial in the development – I adore working with directors where we have a director/dramaturg relationship. Beth has grown this with me from a scratch night where all we had was the original scene, to what it is now. We’ve discussed the characters at length. We know their story. Often Beth knows things about them before I do. Even the auditioning process has been extremely useful as watching Beth direct actors can suddenly switch a light bulb in my head. Will you be watching any other shows at this year’s Festival? If so, who are you looking forward to watching? Oh gosh, I have too many shows that I’m looking forward to! But here goes: Elsa – Isobel Rodgers, Service – Lauren Mooney, Tumble Tuck – Sarah Milton, Quarter Life Crisis – Yolanda Mercy, Happy Hour – Jack Rooke, Attenborough – Tom Neenan – Too many to list here! Also I’m going to be performing myself in my first solo show ‘Dust’ if I’m your cup of tea! What advice would you give to aspiring playwrights and actors? Keep going. Comparison is death. You aren’t that other playwright, actor etc. You’re you. Where someone else is on their career path has sod all to do with you. Social media is the worst and it isn’t your friend. Your friends are. This got so preachy so fast… Have fun! And ask nicely for stuff. A cup of coffee with a director, an email for advice etc. All you can get in return is a no. Writers and Producers Joe Sellman-Leava and Michael Woodman talk about their latest show, Fix!